Paytm is India’s best mobile recharge platform. Paytm offers mobile recharge, electricity bill payments, landline bill payments, metro card recharge, DTH recharge, CableTv, data card recharge & more. Through Paytm you get the comfort of easy recharge done. And through Paytm coupons you save more on recharges. You can find coupons from CouponMaal where you get latest offers & recharge coupons. Use Paytm Coupons to save more on recharges, bus tickets, DTH, bill payments, movies, hotels, data cards & more. The exclusive bank offers for debit and credit card users to save even more. Paytm promo codes and cashback are already widely awesome to save more of your hard earned penny. Here’s the new Paytm offer for new users where you can get Rs. 20 cashback on recharge & bill payments. Recharge with Rs. 50 or more and get eligible for Rs. 20 cashback. You can use it 5 times in a month. Code is valid once per user. Pay for your family and get cashback upto Rs. 300 on recharges/ bill payments. You can use it for more than 3 transactions and the transaction amount should be more than Rs. 2000 in month, You will get 3% cashback upto Rs. 300. Offer is valid once in a month/ user. Get cashback on electricity bill payments up to Rs. 100 which is valid for new users. Grab now get flat 10% cashback through this Paytm promo code. No minimum amount value is required. Code can be used once/ new user/ number. Get 100% cashback through this offer on prepaid/ postpaid mobile recharge. Get flat Rs. 50 cashback on your recharge by using the above Paytm promo code. Maximum cashback is Rs. 50 through this code. Offer is valid once/ user/ number. 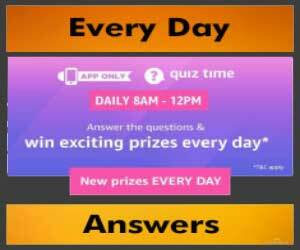 Get 100% cashback every hour for 70 lucky users additional cashback of Rs. 30 on paying through Paytm UPI. User have to do at at least single recharge/ bill payment transaction using the above coupon code on Paytm to be eligible to win 100% cashback. Min. transaction amt. is Rs. 250. Maximum cashback is Rs. 250. Cashback will be credited within 24 hours into winner’s Paytm wallet. Get flat Rs. 5 cashback for recharge/ bill payment of Rs. 50 or more. Offer/ code is valid up to 10 times/ user/ day and per number. This promo code is valid for first 2 lakh payments in a day. 10% cashback up to Rs. 20 + 50% cashback on 1st movie tickets booking on Paytm + additional cashback of Rs. 30 when you pay through Paytm UPI. Recharge amount should be more or equal to 149. Use the above promo code to get flat Rs. 50 cashback on movies/ bus tickets on Paytm. Idea recharge should be equal or more than Rs. 149. Applicable once/ user/ number. Offer is valid on new numbers. Grab this offer and get Rs. 50 cashback on recharge and bill payments. Offer is valid for new users. Code can be used 1 times/ user. Book your first movie ticket on Paytm and get flat Rs. 50 cashback + additional cashback of Rs. 30 on paying through Paytm UPI. When you do Jio recharge of amount above or equal to Rs. 100 then you will be eligible for this offer. Offer is valid once/ user/ number. Offer is valid for new numbers. This offer is valid for both old and new users. Get Rs. 30 cashback on recharge and bill payments. Use it up to 2 times/ user/ month. For this good offer min. amount should be equal or greater than Rs. 100. Offer is not valid for those user who have used “POSTPAID50” code. Valid only 3% cashback. Get 50% cashback upto Rs. 125 on movie tickets + additional cashback of Rs. 30 on paying through Paytm UPI. Use “SARECHARGE20” get flat 20% cashback on recharge or bills of Rs. 50 or more. And additional cashback when you pay through Paytm UPI. Get flat 15% cashback on large appliances using the above Paytm promo code. Avail flat 20% cashback on Microwave Oven through the above listed promo code. Get Paytm Mall Rs. 100 shopping voucher when you pay bills and do recharge using the above promo code you will get Rs. 100 shopping voucher for Paytm Mall. 100% cashback on recharge on the Paytm Mall app. Maximum cashback is Rs. 35. Offer is valid only on Paytm Mall app on android. Offer is valid once/ user/ device. Stand for a chance to win Rs. 1 lakh cashback through recharge and bill payments by using the above promo code in “Have a promocode? Enter here” option. Through this offer also get Rs. 60 cashback on DTH, Mobile Post-paid & Electricity. To get eligible for this offer, user have to do at least single recharge or bill payment transaction through using the above promo code. Minimum recharge/ bill payment value is Rs. 50. Every week 2 lucky winners will get 1 lakh rupees as a cashback. You can use it many times as you can. Rs. 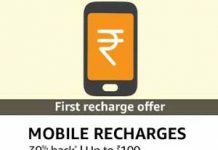 10 cashback on mobile prepaid and postpaid transactions of Rs. 15 or more. Offer is valid for new users only. Offer will be working on those numbers those who have not recharged yet by Paytm. Cashback upto Rs. 2000 on recharge and bill payments. To avail this offer there should be a minimum transaction amount of Rs. 100 or more. Cashback amount can vary b/w Rs. 5 to 2000. Offer can be used 2 times/ user/ once per number. Full cashback on mobile prepaid and postpaid transactions of Rs. 30 or more. Offer is valid for new numbers those who have not recharged yet on Paytm. Maximum cashback is Rs. 30 under this offer at Paytm. Use this promocode and get 5% cashback upto Rs. 300 on pay and recharge. Pay or do recharge for your family more than Rs. 2000 in 1 month. Offer is valid when you use the above promocode 3 times in 1 month with min. transaction amount of Rs. 2000. Promocode is valid for recharges, pay and bill payments. Offer is valid only once per user in a month. Offer is valid till 31st March 2018. Get flat Rs. 5 cashback on successful recharge and bill payment of Rs. 10 or more. Promocode can be used upto 10 times per day. Offer is valid only for first 3 lakh payments in a day. Use the above promocode to get this offer. Do recharge or pay bills on Paytm and get upto Rs. 100 shopping voucher for Paytm Mall app on your first order. To avail this offer please download the Paytm Mall app. Promocode can be used only once per user and once per number. Maximum cashback under this offer is Rs. 100 only on first time mall app transactions. Use the above Paytm promocode to be eligible for this offer. Min. transaction amount must be more than/ equal to Rs. 175. Maximum cashback is upto Rs. 50 under this offer. Promocode can be used only once/ user/ number. Offer is valid for Airtel mobile recharge only. Offer is valid for new number those have not recharged yet on Paytm. Cashback will be credited within 24 hours of the successful transaction into user’s Paytm account. Get 100% cashback every hour using Paytm. Maximum cashback is Rs. 150 every hour. Offer is valid for recharge, bill dth, landline, datacard and many more. Do maximum recharge to increase chances of winning. You can earn upto Rs. 100 cashback on 3 transactions on recharge and bill payment. Use promocodes TRIPLING1, TRIPLING2 and TRIPLING3 in three recharge/ bill payment transactions to be eligible for the offer benefits. 3% upto Rs. 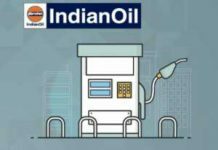 20 cashback on first transaction, 3% upto Rs. 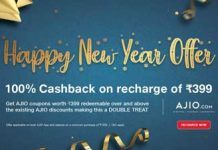 30 cashback on second transaction and 3% upto Rs. 50 cashback on third transaction. Offer is valid for limited period. Use the above promocode to get upto Rs 30 cashback + additional cashback of Rs. 30 on paying through Paytm UPI. To avail this offer min. transactions amount should be more than Rs. 100. Get 3% cashback upto Rs. 30. Offer is valid till 31st March 2018. Get full cashback on Paytm Mall app on recharge. Use the above promocode and get 100% cashback. Maximum cashback is Rs. 25. Offer is valid for Paytm Mall app on android. Promocode is valid only for 1st time Mall transactions. Offer is valid once per user/ device. Do a recharge of Rs 300 & above and get Rs 15 cashback. Offer is valid for all Jio users. This offer is applicable for Jio users recharging their no. using the above Paytm Jio promo code. Get Rs 10 cashback on recharge & bill payments of Rs 100 or above. Code is valid for all users. Maximum cashback is Rs 10. Not applicable on Airtel services. Paytm is offering Rs 50 cashback on recharge and bill payments of Rs 100 and is valid for only new users. Offer is valid for new users. Offer is applicable for one time. Use the above Paytm coupon code to avail this offer. Do a recharge of Rs 100 or above to get eligible for this offer. Only top 51 users will get Rs 200 every month for one year. Code is valid for mobile, data card, landline bill payments. Use the above Paytm coupon code to avail this offer. Get 50% cashback on movie tickets when pay with Paytm electricity bill payments & utility bill payments. Code can be used only once per user and once per number. User will get only 50% cashback on tickets upto Rs 125. Use the above Paytm promo code to avail this offer. Paytm is offering Rs 15 cashback on first mobile postpaid bill payment which should be minimum of Rs 300 or above. Offer is valid once per user/ number. Code is valid for all users. Get Rs 200 cashback on recharges & bill payments for a booking of minimum one ticket. Flat Rs 200 cashback is valid only on mobile, landline, DTH, datacard, electricity, metro and others. Use the above code to get this offer at Paytm. Get instant 3% cashback on mobile postpaid bill payments of Rs 100 or above. Use the above Paytm coupon code to avail this offer. Maximum cashback is Rs 30. Code can be used 2 times. Use the code and buy iPhone and its accessories at affordable prices. Use the above code to eligible for 11000 cashback on Apple iPhone. Code is valid once per user. Pay with Paytm wallet and get chance to win Yamaha Fascino and movie tickets on recharge & bill payments. Top 100 spenders will get digital gold vouchers. More transactions may increase the chance to winning. So do as many recharge & bill payment as you can. Paytm offers India’s largest fast and quick done payment transactions site which is owned by One97. Now it’s one of the largest mobile e-commerce website in India which offers recharge services, utility bill payment services, dth recharge services & many more on your fingertips using Paytm app & web site. Hey Babita, For now no promocode is active for LIC premium payment. Sir, I want to pay insurance premium big Tata AIA. Pls suggest promocode. Right now we have above verified coupons. Is their any promocode for for paying insurance premium. Reliance life insurance premium pay karne ke liye koi promo code hai ? Is there any promo code for payment of Insurance policy? I just sign up Paytm but when I use promo code it’s said that this offer only for new user!!! Is there any promocodes for paying insurance renewal premium for Reliance Nippon life insurance. Any promo code for reliance general insurance policy? sir i want to recharge my tata sky dth of 2950 Rs. I have a electricity bill payment of Rs.9059 for today. And it just pains so much to give away that amount and avail no cashback. Admin.. can you please help me avail a promocode where i can avail as much cashback as possible. Use “LAP8” “LAP10K” Paytm promo code for laptop. if we found any offer then we’ll send you that offer. Paytm ka ek acha Add Money offer chal rha h.. On adding money to wallet, Rs. 555 ka cashback milega on nxt flight booking thru paytm app. Paytm send money offer has been extended.. I got 30 bucks today.. mere friend ko b 20 rs mile..
Aap bhi jyada se jyada send money karo or jyada se jyada cashback paao!! i want to pay my insurance premium of ICICI Prudential LIfe Insurance. My premium amount is Rs: 60,000/- is there any promo code available for this transaction. Valid upto 7 times/ user. Code is valid for all users. Valid on prepaid and landline recharges. Cashback within 24 hours into Paytm wallet but not valid for Airtel prepaid/ postpaid/ dth/ mobile. Is there any add money offer, please give a add money promo code if any Paytm add money offer is running on Paytm.